Supply Chain Areas: Plan and SAP/ERP. Enchange undertook a Supply Chain Walk Through Assessment of the two businesses of an FMCG manufacturer. The focus of the Walk Through was integration of the supply chains. Working with internal teams, the subsequent project implemented an integrated S&OP process and related supply chain back office operations. A new integrated organisation structure was also implemented. 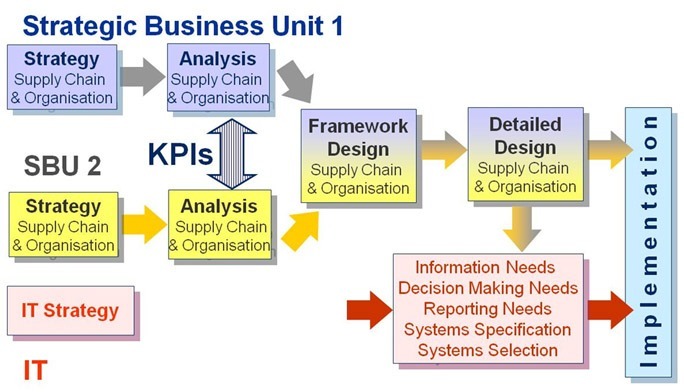 The process and procedures design work was integral to subsequent implementation of SAP. The project was reviewed a year later. It had contributed to bottom line savings of over $3m per annum and additional working capital savings exceeding $1m.